No matter where you are during the August eclipse you’re going to get a great view of it thanks to NASA. In a coordinated nation-wide experiment the agency is going to live stream aerial footage of the eclipse from high-altitude balloons, according to a release. NASA has 11 different projects planned for the day of the eclipse including one that involves data collection of the sun and Mercury from jets and one that asks citizens across the country to pitch report data. The balloon experiment has attracted students from coast-to-coast who are interested in participating, said NASA. The eclipse is the first total solar eclipse to occur in the continental United States since 1972. On Aug. 21, the moon will align perfectly between the sun and Earth effectively blocking most of the sun’s light and casting a dark shadow on the Earth in its direct path. More than 50 of the balloons will be launched across the nation to offer numerous views of the eclipse. “Total solar eclipses are rare and awe-inspiring events. Nobody has ever live-streamed aerial video footage of a total solar eclipse before,” said Angela Des Jardins, who is running the balloon experiment, according to NASA. In addition to using the balloons to capture live footage of the eclipse, 34 of those balloons will also help researchers learn more about what life in Mars might be like for organisms. The balloons that can reach the stratosphere level of Earth’s atmosphere will be exposed to Mars-like conditions once the sky is dark. The upper stratosphere is already similar to Mars because it’s fairly high up in Earth’s atmosphere and offers little protection from radiation and cold temperatures, similar to the surface of Mars. But during the eclipse, those Mars-like conditions will intensify due to even lower temperatures than usual and the lack of ultraviolet rays, blocked by the moon, that also don’t reach Mars. The plan is for the students in the path of totality who are launching balloons to also send up small metal cards that have harmless bacteria dried to them. 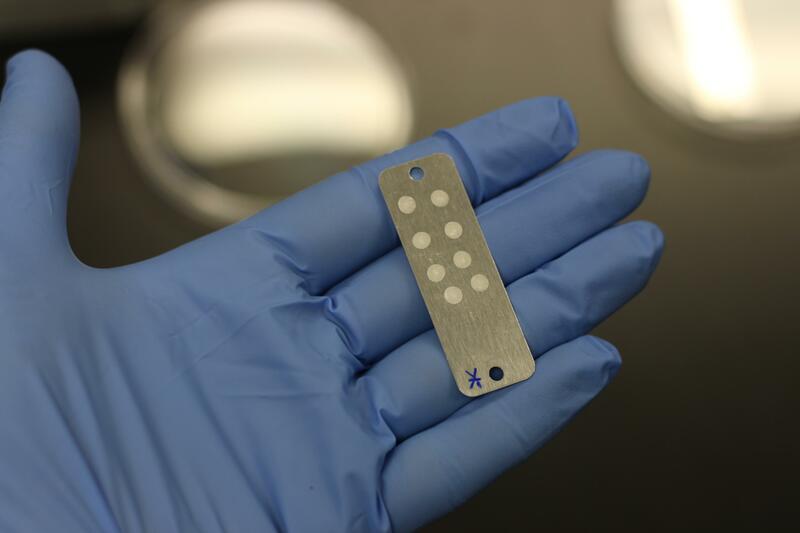 The cards are about the size of a dog tag and the bacteria are environmentally-resistant. The students running the experiments will also keep an identical card with bacteria with them on the ground. Any survival or mutations of the bacteria will give new insight into how bacteria and possibly extraterrestrial life perform under strained conditions like those on Mars. Students as young as 10 years old will participate in the research and the astrobiology methods used to conduct it. The low cost of the balloons and the bacteria cards makes the experiment the perfect introductory science experiment.